Showing 50 articles from June 25, 2014. LOUISBURG — Franklin County Commissioners adopted a $73 million budget that doesn’t include a tax increase, a library in Centerville or a water rate reduction. It does give employees a bit more money in their paychecks and it won’t take as significant a cut in the budget as it could have. “My main thing,” said Commissioner Harry Foy, “is [the cost-of-living increase] for employees. YOUNGSVILLE — Two Maryland fugitives are facing a July court date after leading local authorities on a high speed chase through town. Deontre Bradshaw, 27, and Brittany Dudding, 26, were charged with fleeing to elude arrest and accessory after the fact, respectively, for their role in the June 20 chase through Youngsville. 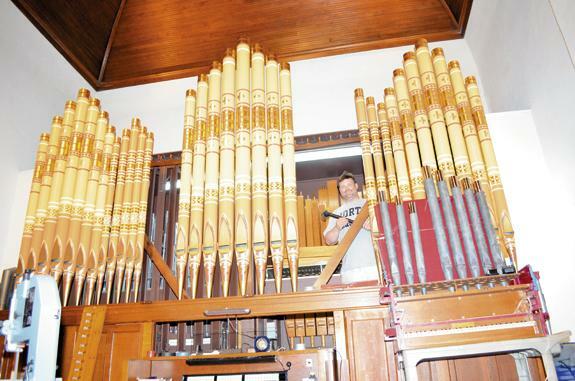 Restoring history you can hear! In 1904, the congregation of the Louisburg Baptist Church built and dedicated the impressive brick building that stands at the corner of North Main Street and Middle Street in Louisburg. The building is noted for its fine, original and unaltered woodwork, the unique serpentine balcony, and the vivid stained glass windows, all designs from the Victorian period of architecture that characterize many of the historic structures in Louisburg. Numbers do not always tell the whole story but sometimes they are a valid way to measure commitment, vision and sacrifice. Perhaps that’s the case with the batch of numbers you’re about to read. They may not tell the whole story, but they will shed some light on commitment, or lack of it, here in Franklin County, and help you separate reality from hot air. 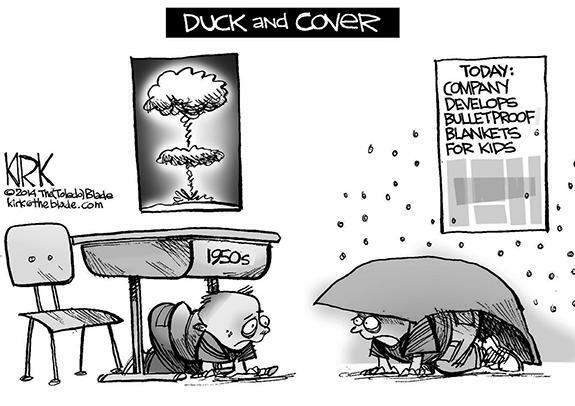 First, and let me state this clearly, money does not automatically solve problems. Ah-h-h, July. It’s only days away — check the calendar! It’s the month that puts the sun in Sunbelt. Assuming that the weather forecasters are even partially correct, and predicting weather this time of year is pretty simple, you’ll be feeling the full impact of summertime sun over the next several days just as you have for the past several. Well, they say you can indict a ham sandwich. And, truth is, you can sue for almost anything. Apparently, a New Jersey woman is doing her best to prove that axiom true. According to reports, the woman is suing a former employer, claiming they would not change her work schedule to avoid rush-hour traffic. 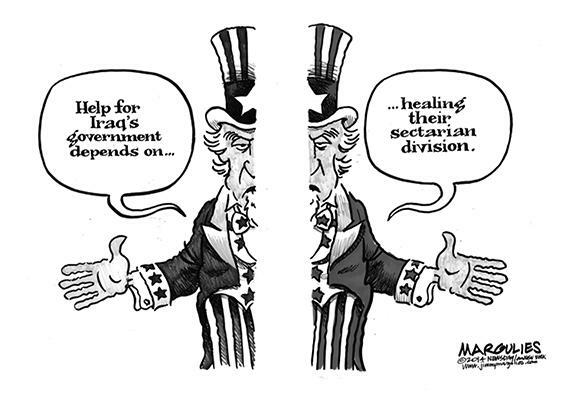 It is said that all politics are local. One can take from this everything a politician does, or does not do, no matter their office, be it national, state, or other, has impact on people that live locally. Often, it is not initially seen, and may even be hidden. In time it is tangible, and felt. What a president does will impact you. The example is executive orders that subvert immigration laws resulting with illegal immigrants moving into your community. Despite the misleading claim that taxes have been lowered in North Carolina, the reality is the vast majority of us are paying more. Dear editor: I don’t think I was treated fairly on May 13, 2014. No one came to the door and let me know that a man was killed. LOUISBURG - Isabelle Walker, 78, died Sunday, June 22, 2014 at Duke University Hospital in Durham. Funeral services will be held Saturday, June 28, at 2 p.m. at St. Paul Presbyterian Church, Louisburg. 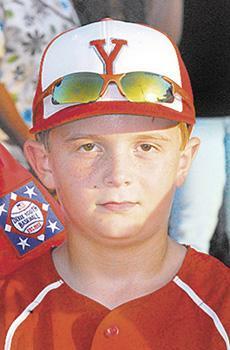 Burial will follow in Cedar Street Cemetery in Louisburg. BRANTLEY BEATS THE THROW. Bunn’s Mason Brantley (right) is safe at first base as Youngsville’s Jake Phan tries to reel in the throw during last Friday’s opening game of the Dixie Youth Coach-Pitch District Tournament at Luddy Park. 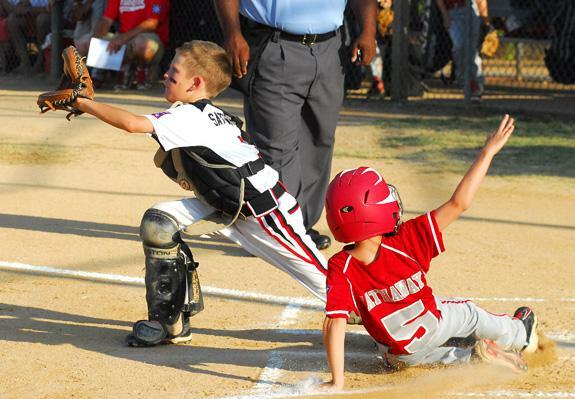 YOUNGSVILLE -- Youngsville’s quest to defend its Dixie Youth Coach-Pitch District 10 Tournament Championship began last Friday against a familiar opponent -- the Bunn Wildcats. 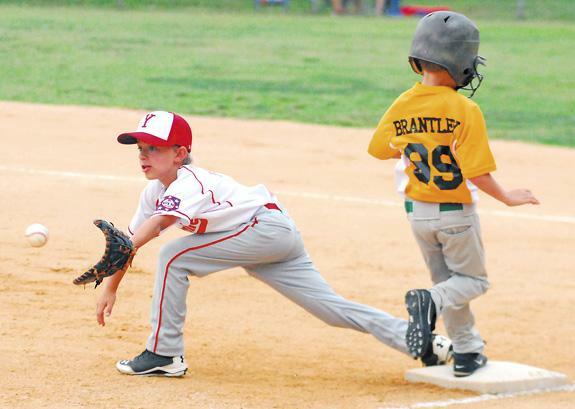 Youngsville had edged Bunn in last year’s tourney finals. Reorganized this season as the Red Team, Youngsville was able to get past Bunn once again to move into the winner’s bracket. SEEING RED. Members of the Youngsville Red All-Stars baseball team surround Coach Wayne Glover (top right) at the conclusion of the Dixie Youth Coach-Pitch Baseball Tournament on Monday evening at Luddy Park. 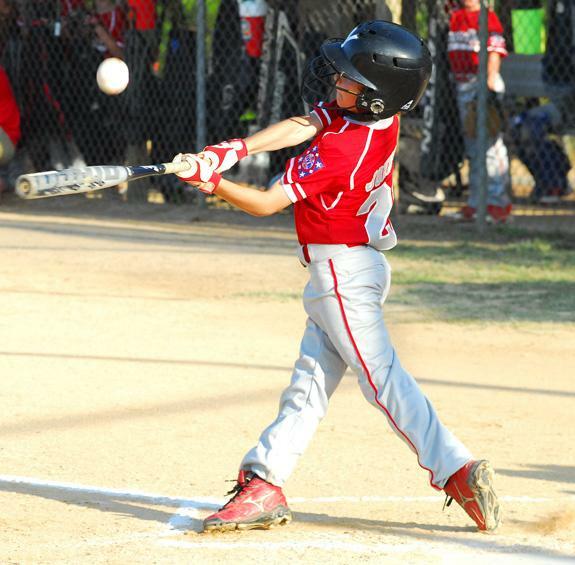 YOUNGSVILLE - The Red Storm that blew through Luddy Park last weekend finally laid down its bats and gloves Monday night. 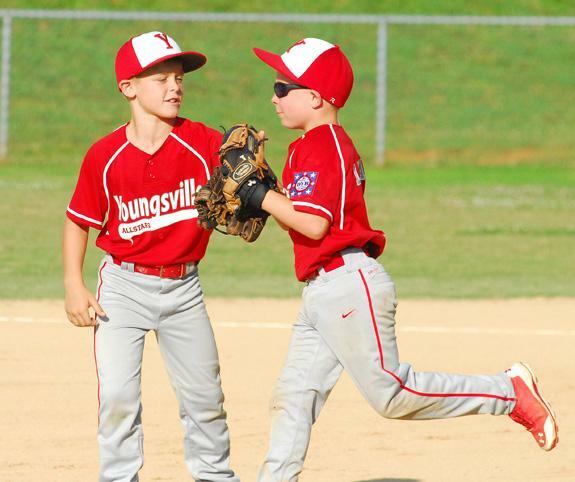 But not until the talented Youngsville Reds had rolled to the championship at the Dixie Youth District 10 Coach-Pitch Baseball Tournament. 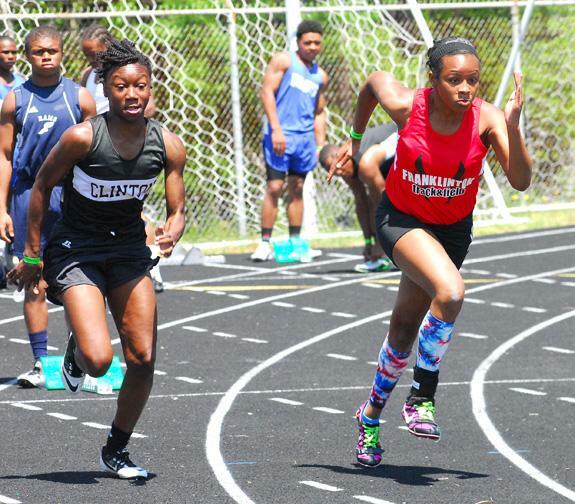 FRANKLINTON -- Shaniece Jones-Thames made an instant impact on the Franklinton High School track and field program this spring as a freshman -- and she is still on the run. A sprinter, Jones-Thames showed plenty of promise for the future with a strong ninth-grade campaign that featured a qualification in the 100 for the Class 2-A State Track and Field Meet in Greensboro. FRANKLINTON -- When Jeremy Buck was discussing potential candidates for the vacant Franklinton High School baseball job, his wife, Kelley, offered her own suggestion. After all, Buck has a long history in the sport as a player and coach, and even spent time in charge of the program at Zeb Vance High School in Charlotte. STATE STARS. 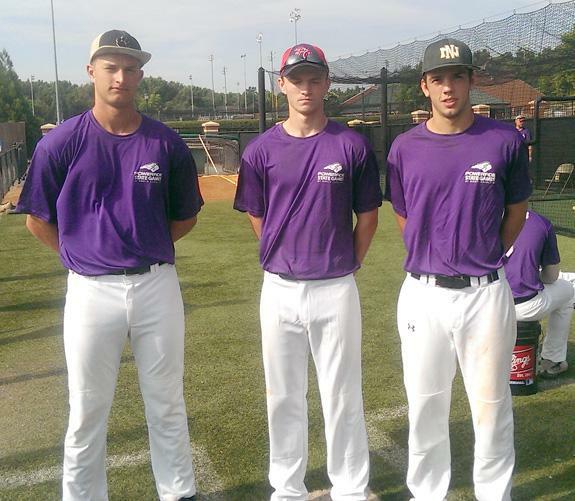 (L to R) Bunn’s Spencer Brickhouse, Faith Christian’s Luke Mills and Northern Nash’s Derrick Carter were on the Region 3 roster for the Powerade State Games of North Carolina baseball event last weekend in Mecklenburg County. 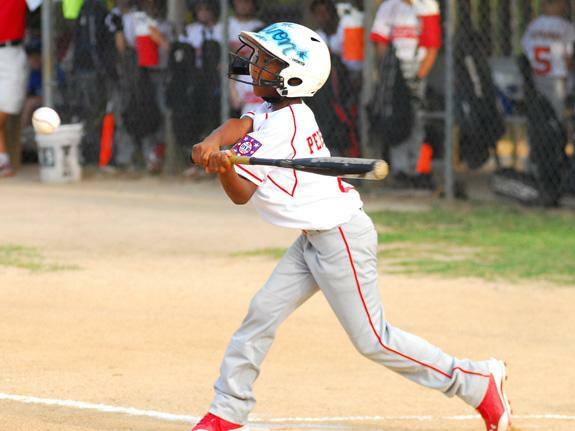 FRANKLIN COUNTY -- In the estimation of Leonard Allen, taking part in the Powerade North Carolina State Games baseball event is all about sizing up your skills on a much higher level than what a player is exposed to during the high school season. Allen, the head coach at Northern Nash, served as an assistant for the Region 3 Team at the annual event to round out his four-year commitment. 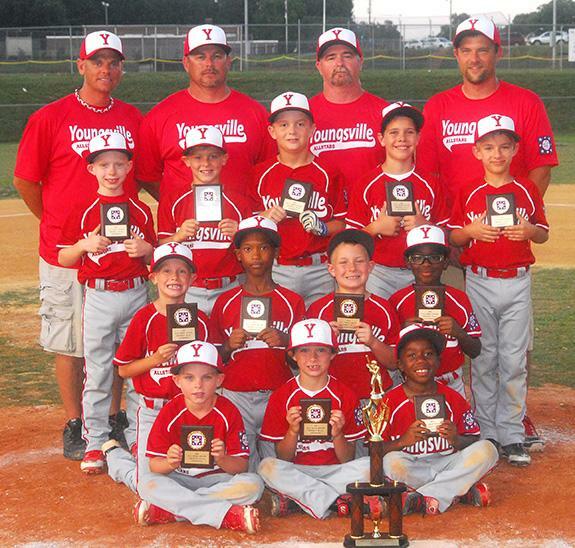 YOUNGSVILLE RED -- TOURNAMENT CHAMPS. 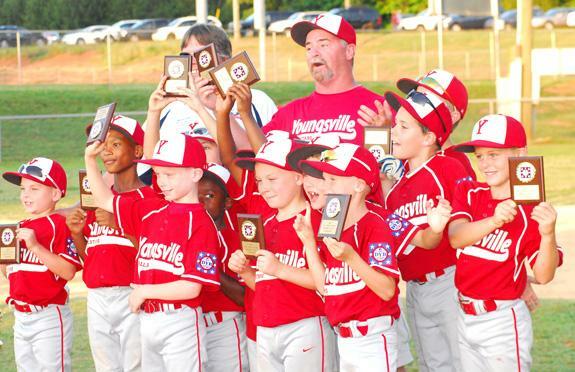 The Youngsville Red All-Stars took first place at the Dixie Youth Coach-Pitch District 10 Tournament, which concluded Monday night at Luddy Park in Youngsville. Pictured are (back row, l to r) Coaches Brad Hathaway, Joe Johnson, Wayne Glover and Jeremy Phan; (third row, l to r) Jake Roberson, Caelon Witcher, Peter Honse, Alex Palmer and Jake Phan; (second row, l to r) Connor Hathaway, Trevon Person, Ethan LeBlanc and Elijah Alston; (first row, l to r) Sam Lilly, Rett Johnson and Micha Evans. LOUISBURG -- The Town and Country Stringrays will open another youth summer swim season today with a road matchup in Raleigh against Stone Creek. The Stingrays will have six meets this summer, four of which will be at home. Town and Country will also take on the Franklinton Frogs twice -- both at the TC Pool in Louisburg. RALEIGH -- Ron Francis, Executive Vice President and General Manager of the National Hockey League’s Carolina Hurricanes, has announced that Bill Peters has been named the team’s head coach. Peters will be the 13th man to serve as head coach for the franchise, and the fourth since the team’s arrival in North Carolina. 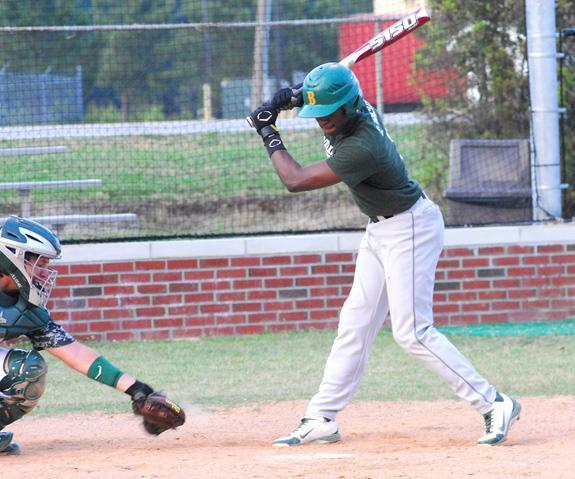 BUNN -- Even at the conclusion of the regular season, the late-inning heroics haven’t ended for the Bunn High School baseball squad. Competing on both the junior varsity and varsity levels in the Central Carolina Scholastic League, the Wildcats and Junior Wildcats sport identical 4-1 records heading into Wednesday’s home contest against the East Wake Warriors. ZEBULON -- The Carolina Mudcats collected 11 hits on Tuesday afternoon at Five County Stadium, but could not convert them into runs in a 6-0 loss to the Myrtle Beach Pelicans in a Class A Carolina League baseball showdown. The Mudcats (3-3, 32-41) stranded 17 and finished 1-for-13 with runners in scoring position. The Pelicans (4-2, 48-26) take the series, two-of-three. ROYAL KNIGHTS WIN AGAIN. 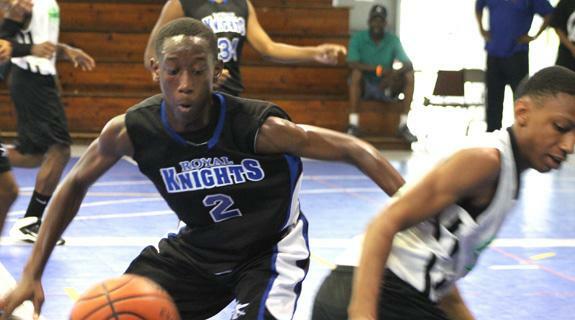 The Franklin County Royal Knights Eighth Grade Travel Basketball Team claimed yet another championship last weekend at the Tri-County Thunder Summer Bash Tournament in Oxford. In the above photo, Delton Davis (left) tries to come up with a steal. LOUISBURG -- Louisburg High School’s 2014 varsity football season will begin Aug. 22 with a road game against former conference rival North Johnston. LHS’ first three contests will be away from home before the Warriors return to Patterson Field on Sept. 19 for a meeting with backyard rival Bunn. RALEIGH -- The Carolina Hurricanes will open their 2014-15 National Hockey League schedule on Oct. 10 with a home game versus the New York Islanders. (L to R) Youngsville’s Caelon Witcher and Ethan LeBlanc salute each other before the start of Monday’s game. Youngsville’s Connor Hathaway (right) scores a run as Oxford catcher Abraham Satterwhite waits for the throw during Monday evening’s championship showdown at the Dixie Youth District 10 Coach-Pitch Baseball Tournament at Luddy Park. 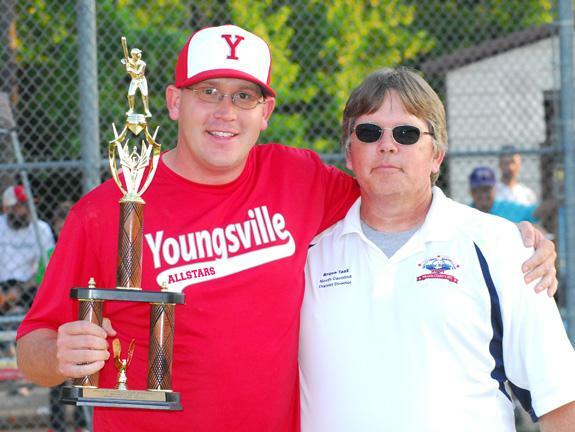 Coach Ben Scott (left) accepts the Dixie Youth Coach-Pitch District 10 Tournament Sportsmanship Award on behalf of the Youngsville White Team. Presenting the award is Dixie Youth District Director Bruce Tant (right). 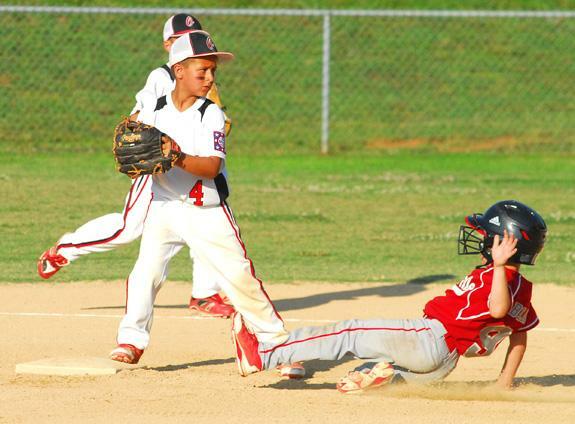 Youngsville All-Star Ethan LeBlanc (right) is forced out at second base by Oxford’s Tyson Stovall during Monday’s championship game of the Dixie Youth Coach-Pitch Tournament. 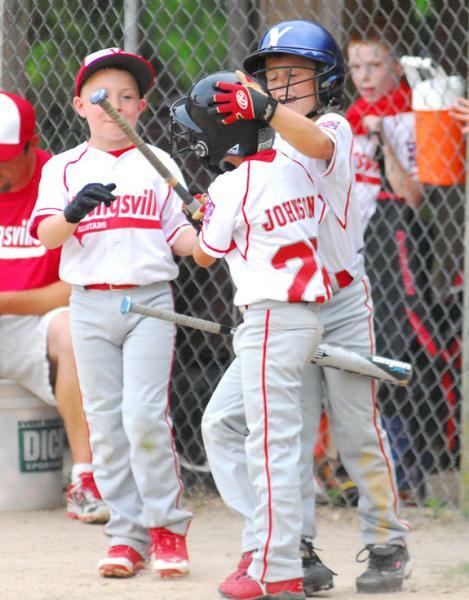 Youngsville’s Rett Johnson (front) is welcomed back after hitting an inside-the-park home run. Youngsville’s Rett Johnson blasts the ball high into the air during his club’s title victory over Oxford at the Dixie Youth Coach-Pitch Baseball Tournament. 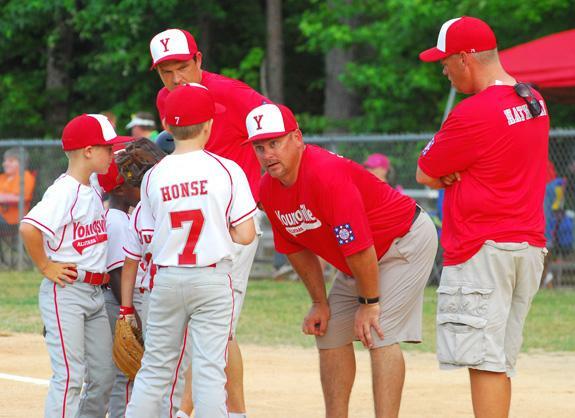 Youngsville Red All-Stars coach Joe Johnson (second from right) addresses players between innings during the club’s decision over Bunn last Friday in the opening round of the Dixie Youth District 10 Coach-Pitch Tournament at Luddy Park. 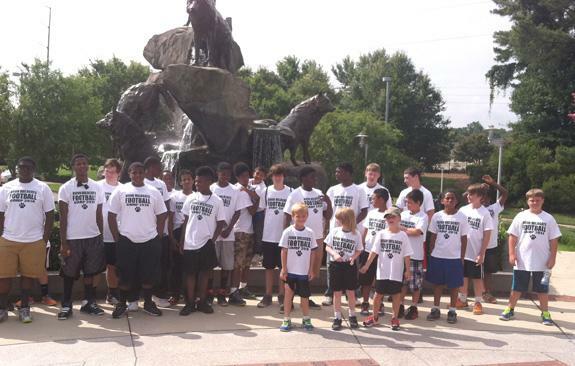 Youngsters from the Bunn High School Football Camp were treated to a trip to Raleigh this week to tour the football facility at North Carolina State University. BHS football coach David Howle is in charge of the camp, and his son, Ty, is a graduate assistant for the Wolfpack. The camp will run through today on the BHS campus. Youngsville’s Trevon Person prepares to make contact during his team’s victory over Bunn at the Dixie Youth Coach-Pitch District Tourney. The Cooperative Extension Service, now in its 100th year of service, has played an important role in improving the quality of life of the citizens of Franklin County. Although home demonstration agents have helped rural women create more efficient and attractive homes and other staff members have provided educational opportunities for youth through the 4-H program, agricultural extension agents have had an especially significant impact on the economy of the county. Keep a wary eye out for ticks! As Extension agents, we often make farm visits to assist with issues on farms, many times with new farm ownership. One recent farm visit turned out to be a “tick fest”… on all the animals as well as humans. As a result, our conversation quickly turned to pest control of ticks. From the larval to the adult stages, ticks attach to a living host and feed on the host’s blood. You know, I have told you before, how great it is to meet former students and find out how well they have done, what super jobs they have, how their knowledge and spirituality have grown, and above all, how special they have become. The wonderful surprises we as teachers have are so positive, that we feel overwhelmed at the outcome of so many dear students. I have a story to tell you about one of my favorite Spanish students who made my teaching years at Louisburg High School “years to remember” forever. 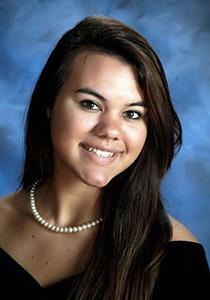 Beverly Foster recently graduated with the Class of 2014 at Kerr-Vance Academy. She is the daughter of Al and Lynn Foster of Epsom and will be attending the University of North Carolina-Chapel Hill in the fall. 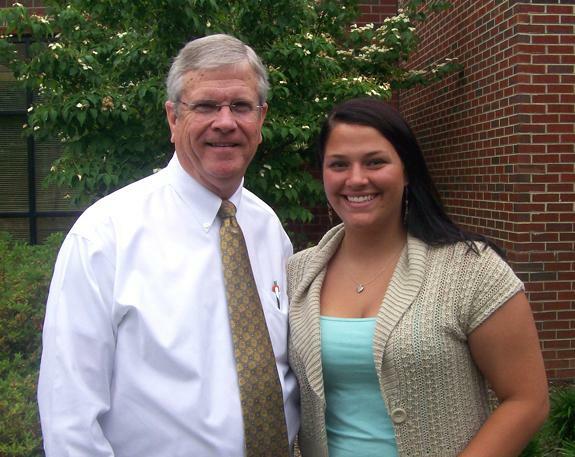 The National FFA Organization awarded a $1,000 AGCO Dealer scholarship to Taylor Edwards of the Bunn High School FFA. The scholarship is sponsored by Louisburg Tractor as a special project of the National FFA Foundation. Edwards plans to use the funds to pursue a degree at Mount Olive College (NC). She is the daughter of Tim and Anne Edwards of Louisburg. 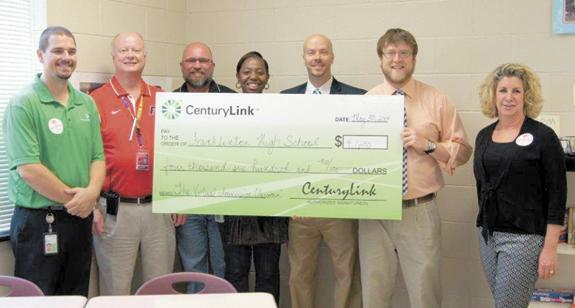 FRANKLINTON — Franklinton High School received more than $15,000 in grants from a Youngsville business to bolster technology courses. CenturyLink provided teachers and students with funding through its CenturyLink Clarke M. Williams Foundation’s Teachers and Technology grant program. 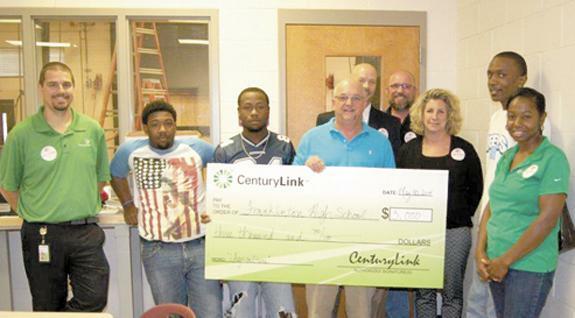 Franklinton High teacher Reuban Swindall, second from right, is with, from left, Richie Smith with CenturyLink, Franklinton High Principal Mike Chappell, CenturyLinks Darin Wilder and Yvonne Dalton, Youngsville Mayor Fonzie Flowers, and CenturyLink’s Rondi Furgason. 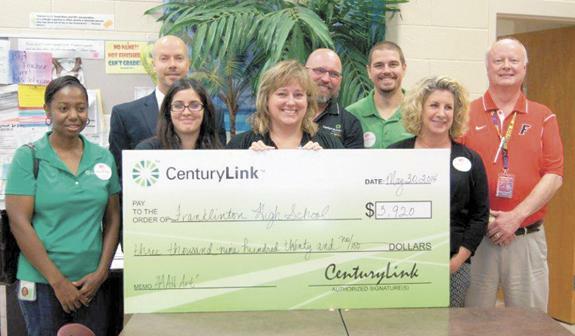 Franklinton High teacher Jan Johnston, center, is with, from left, Yvonne Dalton with CenturyLink, Youngsville Mayor Fonzie Flowers, student Siera Herrera, CenturyLink’s Darin Wilder, Richie Smith, Rondi Furgason and Franklinton High Principal Mike Chappell. Franklinton High teacher Jason King, third from left, is surrounded by Youngsville Mayor Fonzie Flowers, CenturyLink’s Darin Wilder Rondi Furgason and Yvonne Dalton, Franklinton High Principal Mike Chappell, and student Erin Williams. For A Brighter Future, Inc. recently received a $2,500 grant from Food Lion Charitable Foundation. The $2,500 donation will be used for food purchases. For A Brighter Future is an after-school program which provides tutoring, mentoring and career counseling for students in grades 9 through 12 in Franklin County. 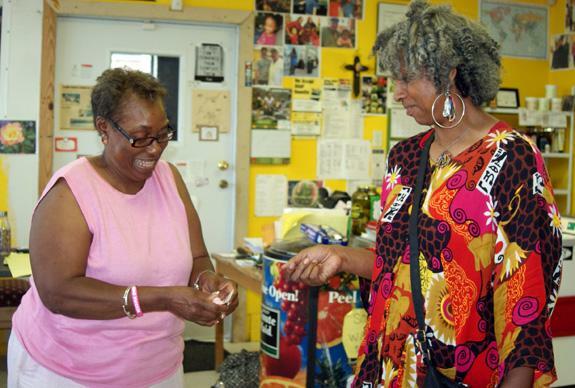 Franklin County Arts Council held its first Art Stroll recently in Franklinton. Organizers estimate that more than 50 people came downtown to the event, filling parking spaces on both sides of the street. Sheriff’s deputies are investigating allegations of harassment against a former transportation employee. Boyd Tharrington reported the afternoon of June 20 that a former employee, James Poythress, came by the DOT building on N.C. 96 W. near Youngsville and was cursing at some employees and making sexual remarks to others. Poythress, who was fired in 2003, left the building, according to the report by Dep. J. Tate, but he drove to a DOT work site — a bridge construction project on Holden Road — and began making critical remarks to workers there. LOUISBURG — Franklin County sheriff’s deputies arrested three men accused of operating a meth lab. Based on some suspicious purchases, members of the department’s narcotics unit zeroed in on a home in the 100 block of Orchard Hills Road between Louisburg and Youngsville. Last week, they arrested Barry Wilson, 61, Thomas Dugan, 55, and Thomas Jordan, 51, charging them each in connection with manufacturing methamphetamine on the property. Franklin County sheriff’s deputies are looking for suspects in an apparent armed robbery attempt. A Cureton Drive resident called authorities the evening of June 23, reporting that someone wearing a mask knocked on the door of his home. 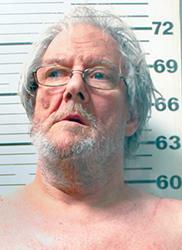 That suspect, the resident told Dep. Dylan Moore, was standing to the right side of the door and appeared to be wearing a long sleeved shirt around his face as a mask.